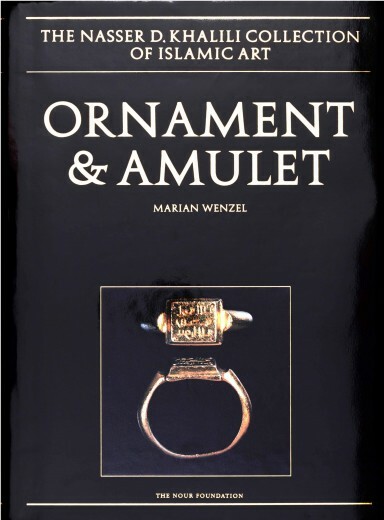 The remarkable material presented in this volume – more than 600 rings from the Islamic lands and beyond – has provided a rare opportunity to survey the history of this form, ranging from two Hellenistic glass rings of the 2nd or 1st century bc to a signet ring made in India in 1920. 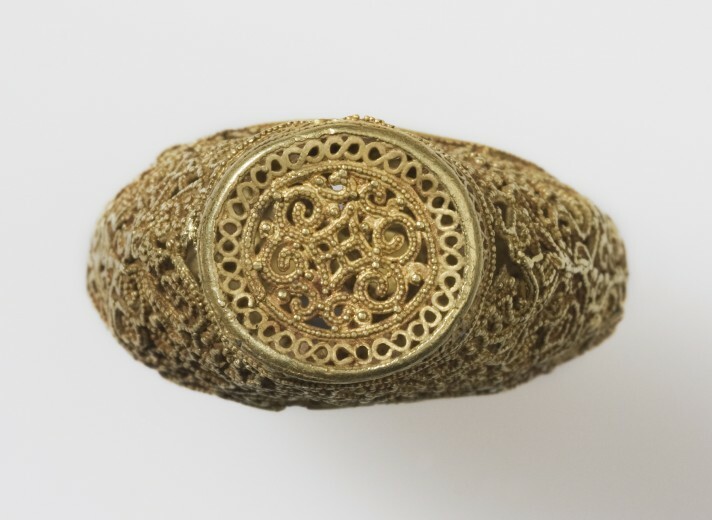 Rings with metal bodies predominated in all periods and an outstanding variety in gold filigree, made in Fatimid Egypt in the 10th and 11th centuries, is represented here by five exquisite examples. Many of the rings are set with seals and the majority bear the names of men, but exceptions include a ring made for Zubaydah in 11th-century Egypt. 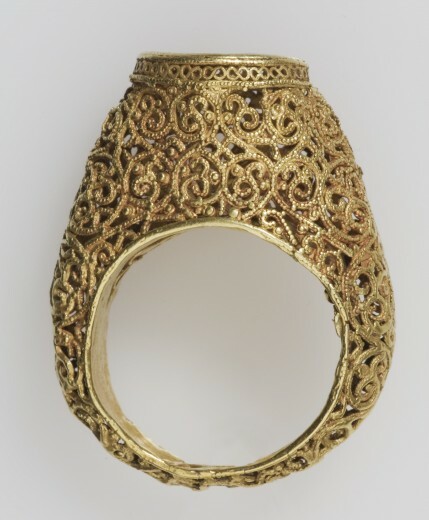 Other important groups include rings with religious inscriptions intended to protect the wearer from harm, rings carved from semiprecious stones, archer’s thumb rings and a striking group of thimbles from Anatolia. This wealth of evidence has allowed the author to present a typology of Islamic rings within a broad chronological framework. The detailed entries include analysis of materials and techniques as well as readings and translations of the inscriptions, and the colour illustrations have been supplemented by several drawings of each ring.